It can also be used as a planning tool to help determine the sequence of tasks that must be accomplished by a certain time schedule, in order to achieve the objective. Project planners and project managers can use the 5 year plan at the beginning of the planning phase, to further define the stages, milestones and resources needed to deliver their project. During the project they can use the 5 year plan template as a quick visual to track their progress vs the original plan. 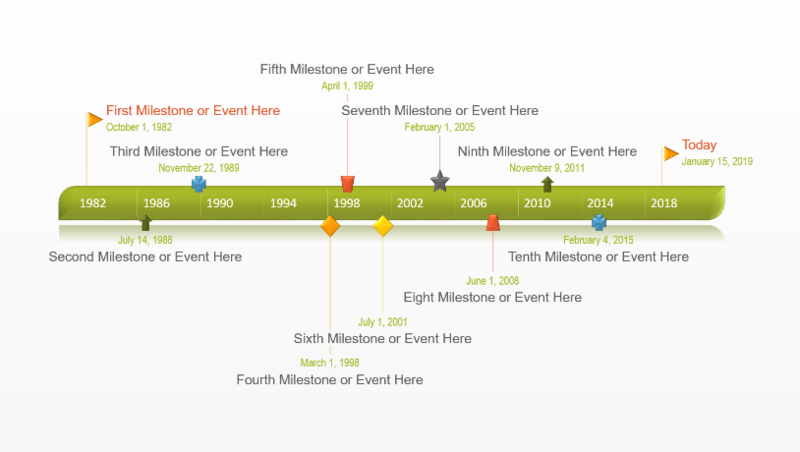 The five year timeline template provides a summary view of a long term plan. It was created for reporting and communication purposes such as reviews, presentations or proposals. 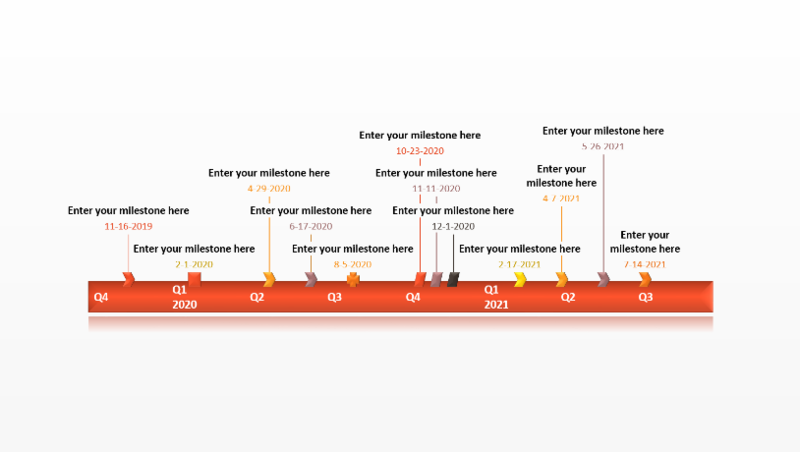 The template is structured on a five year timeline and it includes placeholders for the key milestones and tasks of your plan. The 5 year plan was created to be simple to understand, impressive to see and easy to read on a single PowerPoint slide. It is intended to replace complicated Gantt charts, excel tables, and hard-to-follow milestone charts. The template was created in PowerPoint so it can easily be edited to fit the particular style guides or color schemes of your company. 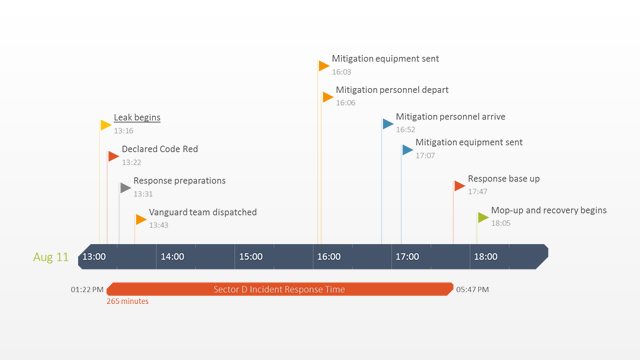 The template was also created with the timeline generator from Office Timeline which can automatically update the template with your plan's data in just a few clicks. 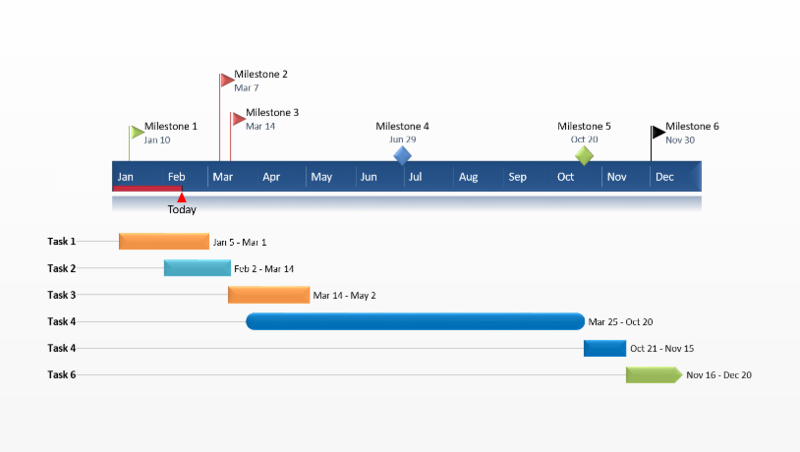 Office Timeline is a free project planner add-in for Microsoft PowerPoint. 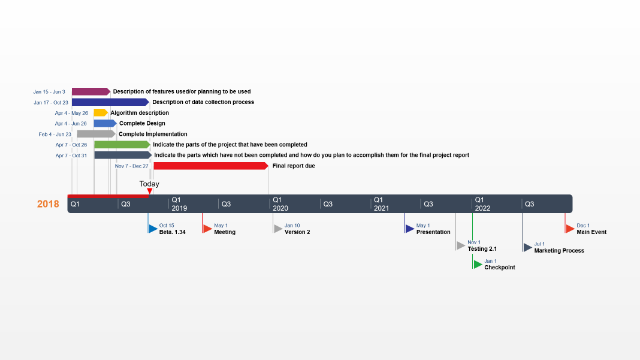 Office Timeline Plus Edition integrates with tools like Microsoft Project and Microsoft Excel, so existing project data can quickly be imported into PowerPoint and instantly transformed into planning slides like the 5 year plan template.